Many people think that holidays in Miami are just snow-white beaches, beautiful tanned people from all over the world, great weather all year round, expensive cars, world-famous night clubs and other breathtaking entertainments. Yes, this is partly true. However, having come there just for a few days, you may be able to spend your time in more interesting way than just lying on the beach in the afternoon and visiting discos in the evening. So, this article will reveal the major attractions of the city, as well as where to go and what to see in Miami. This is a huge and wide city beach, where there are no hotels, but you can always rent a deck chair and enjoy the white sand and warm clear ocean. 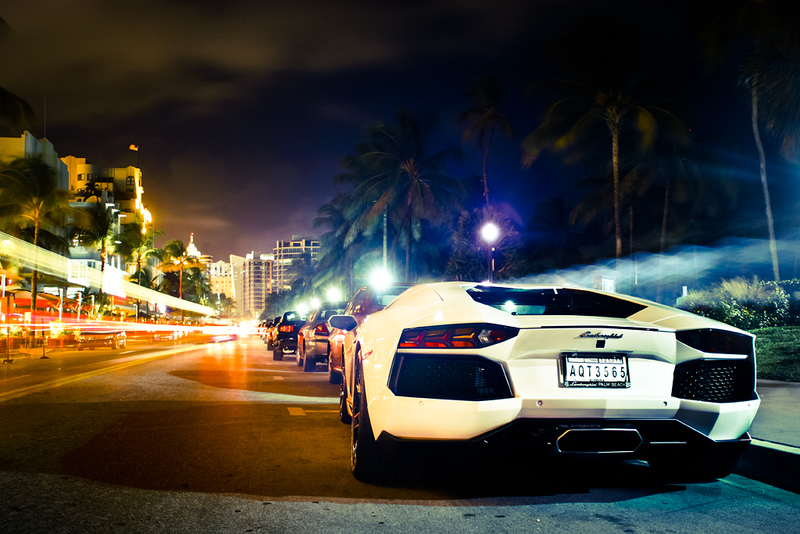 If you travel to South Beach by Miami luxury car rental, then it’s most convenient to park your vehicle in a covered parking lot for only $1 per hour. It’s located on 13th Street between Ocean Drive and Collins Avenue. 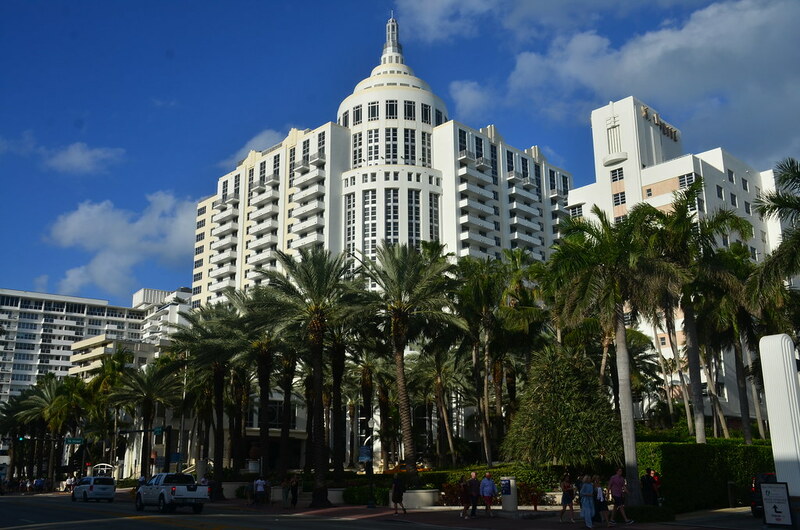 South Beach is the place filled with a huge number of restaurants, hotels and entertainment centers. If you like parties then a selection of clubs are at your disposal: Cameo, Store, Nikki Beach, Wall and Set are among them. In addition to clubs, restaurants and hotels, you’ll find many shops on South Beach, especially on Collins Avenue, as well as on Lincoln Road. Also, it’s possible to rent a yacht or a small pleasure boat. Another attraction can be riding across the bay during the day or at sunset by kayak. Ocean Drive is a street where there are many so-called boutique hotels, restaurants with terraces overlooking the park, as well as several clubs. You can just take a walk there, but it’s recommended to have dinner and drink a Miami-style cocktail. Also, Ocean Drive is well-known for the house in which the famous designer Versace was killed. This street was shown in many movies, including Scarface. News Café located on Ocean Drive is another iconic place – every morning Versace had a breakfast and drank coffee there. According to travelers, Lincoln Road is the main tourist street of Miami. It’s known for a huge number of open-air restaurants, a large cinema, as well as a recently renovated symphony hall and art galleries. Every Sunday a farmer’s market works there, and it sells exotic fruits for very cheap rates. Lincoln Road is a place where Gap, Zara, Apple Store, Forever 21 and H&M shops are concentrated. In fact, the street was made pedestrian only in the 90s, but now it’s a favorite place where not only tourists, but also Miami locals come to rest. Lincoln Road stretches for about 10 blocks across the entire width of South Beach from the Atlantic Ocean to Biscayne Bay. If you come there by car, there is parking lot close to Lincoln Road. It’s located at 17th street, Miami Beach and available at $1 per hour. 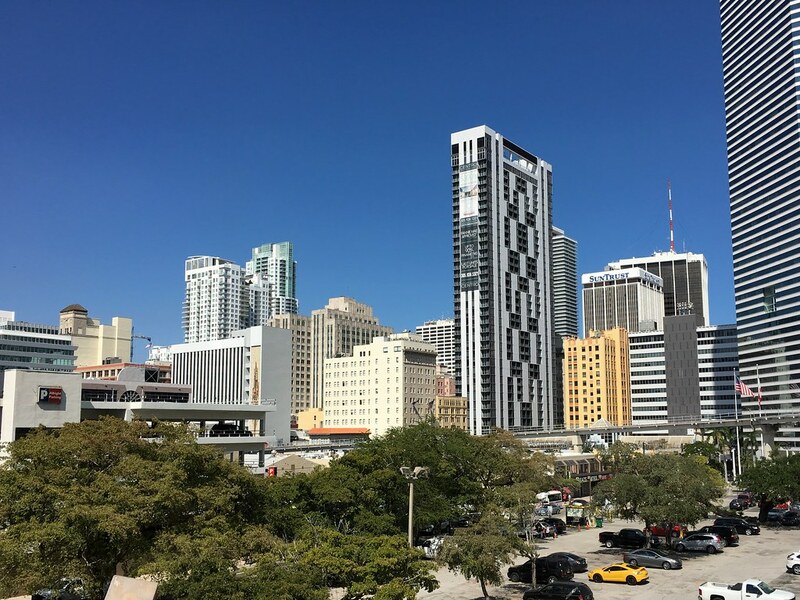 Art Deco District is the historic destination of Miami, where more than 960 buildings and structures are officially recognized as national monuments of the United States, as well as architectural monuments of world importance. Art Deco district was named after the architectural style of the futuristic avant-garde of the 1920s and 30s, in which most houses were built on its territory. The quarter is located in South Beach, and from the east it’s washed by the Atlantic Ocean. The area has experienced many generations and enjoyed a different fame. The historical and cultural value of the area was not recognized immediately. Only in the 1980s, thanks to the active influence of the famous painter Andy Warhol, the district deservedly received its current status. 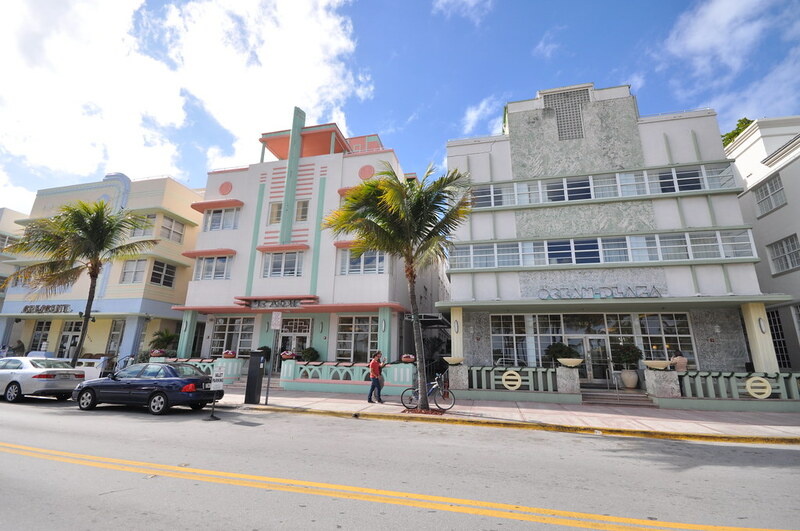 Today, Art Deco is considered to be the center of Miami’s nightlife. Most of the buildings were turned into hotels, and everyone who comes to Miami for the first time wants to stay there. South Pointe Park is the most southern part of South Beach and Miami Beach. This spot of Miami is interesting in a unique way: almost every day, at about 5 o’clock in the evening, huge cruise ships leave the port of Miami, with 3-5 thousand people on board. And in order to get out of Biscayne Bay into the open ocean, they must pass through a narrow channel that connects them. By the way, South Beach is limited from the south by this channel. Since the port of Miami is the world’s largest cruise port, on some days you can watch a real parade of ocean liners passing through the channel. 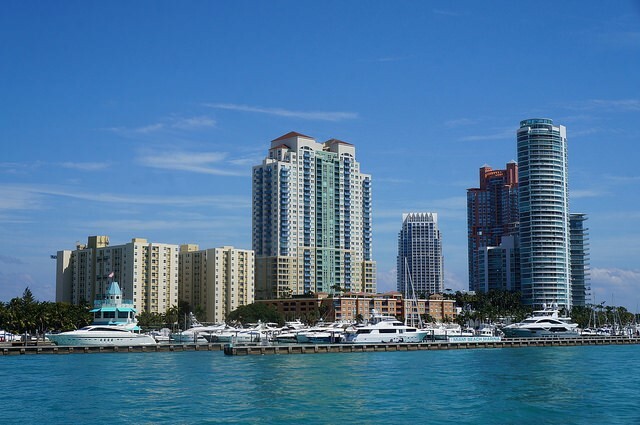 Downtown Miami is a long but narrow strip along Biscayne Bay. It also includes Brickell district with skyscrapers of representative offices of banks and financial corporations, which can be reached by free tram running around the city center. In general, it’s believed that downtown Miami in terms of the number of skyscrapers ranks third in the whole United States after New York and Chicago. However, unlike the competitors, most of the buildings are residential, not commercial there. 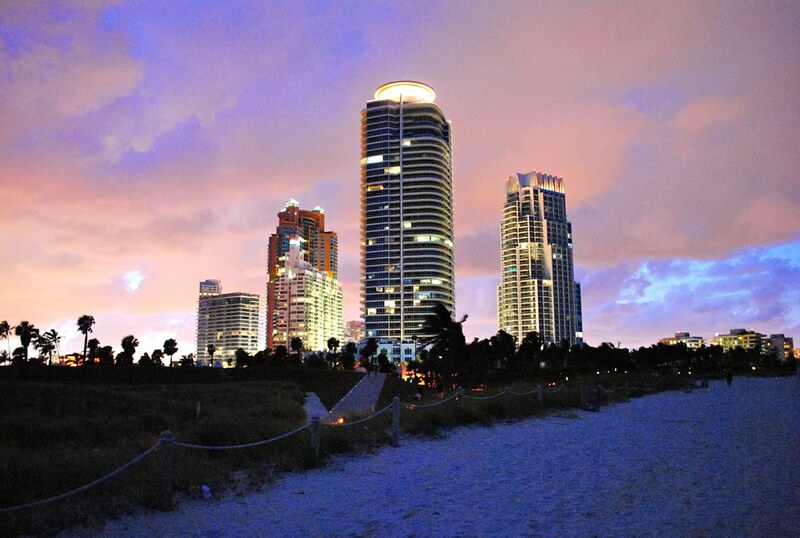 At the same time, Downtown Miami is considered to be a very dangerous place, especially at nightfall. There are robberies, drug trafficking, sometimes gunfights and chases, so we advise you to visit it only during daylight hours. Well, it was a short description of the places you can go if you decide to spend your holidays in Miami. Of course, this is not a complete list, and the city provides many other worthwhile locations available for sightseeing.